Candidates for the Degree in this Order must have previously received the Order of the Silver Trowel. Recommendations are made directly, in very limited numbers, to the Grand Master of the Order of Royal and Select Masters by the District Grand Master. Those who have the Degree conferred upon them by the Grand Council of Royal and Select Masters, as well as those who affiliate, will be presented with a breast jewel. 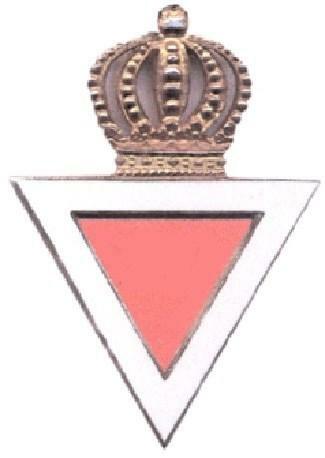 This jewel, which is worn to the left of the Royal and Select Masters jewel and consists of an interlaced five pointed star suspended from a ribbon, striped white, light blue, crimson, purple and white, with a Royal and Select skeletal triangle superimposed and bar at the top with the words “Excellent Master”.